Unity, one of the Movement’s foundational doctrines, has, for too long, been preached but not practiced. The move from theory to practice, from conceptual to functional, is desperately needed, and is possible when Jesus is the subject. Church of God congregations in the Michigan cities of Detroit and Flint, for example, understand this. That’s why they’ve come together to worship the Lord and to partner for the betterment of the cities. When the people of God are united, not only is the community better off, but so is the church. In southeastern Michigan, a historic fall gathering demonstrated this blessed reality. 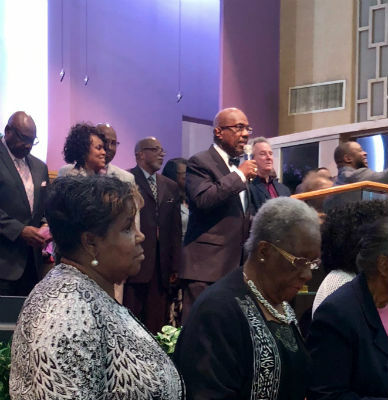 Each day, for six days, more than three hundred people, representing numerous local Church of God congregations, packed the house at Metropolitan Church of God in Detroit. 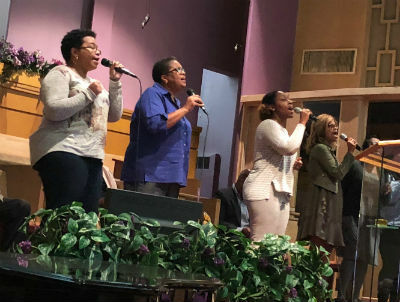 Attendance topped four hundred on the closing night of the event, following nearly a week of evening services that headlined no well-known artists or big-name evangelists. Instead, this revival was planned and pulled off by local churches, led by local worship teams and choirs, and featured the preaching of local pastors. 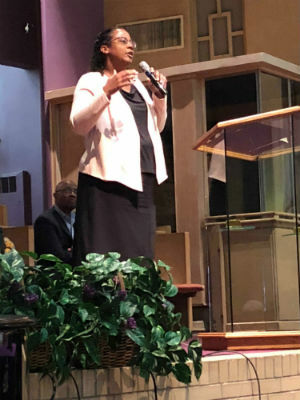 For an hour-and-a-half each day, Church of God brothers and sisters—many of whom would otherwise never cross paths—worshiped together, sat under dynamic preaching together, got to know one another, and partnered together to make a difference in the community. Each evening, an offering was collected—not for any one church, but for a local parachurch organization. Carron Odokara speaking at the revival. Local church worship team leading. In Michigan, across North America, and around the world, God is on the move in the Church of God. Join the movement. Reach our world. Donate today at give.jesusisthesubject.org. This entry was posted in All Church of God, Give Life, Great Lakes and tagged Albert Grant, better together, Church of God of Detroit, community service, cooperation, Detroit, doctrine, Flint, laity, local churches, Metropolitan Church of God, MI, Michigan, parachurch, partnership, relational connectivity, revival, southeastern Michigan, united, unity. Bookmark the permalink.